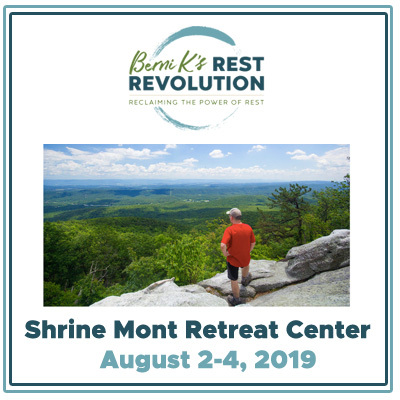 The Modern Meditation for Teachers Retreat will be held at Shrine Mont, a conference and retreat center located in the quaint village of Orkney Springs, a community in western Shenandoah County, Virginia, about 2.5 hours from the DC metro area. Shrine Mont is well known for its welcoming hospitality, comfort food, quiet location and plenty of porches for rocking. Rooms at Shrine Mont will be in cottage-style houses, with the option of single or double occupancy rooms with private baths. 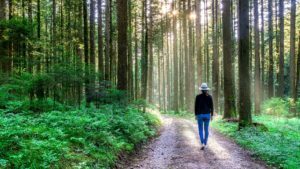 You will explore the skills, the science, and the techniques of modern meditation designed for people like you, with busy lives and racing minds. You will get plenty of time to practice what you are learning, through mini-meditations and longer guided meditations. The goal is to give you the knowledge and skills to start practicing on your own, and to give you practical ideas on how to bring moments of rest into your classroom. Additional Payment Options are Available. Please call 828-702-2824 or email berni@berni-k.com for details. If paying by CHECK, please complete the REGISTRATION FORM ONLINE, and mail your check to 45 S. French Broad Ave # 170 Asheville, NC 28801. Please make checks payable to Berni Kozlowski. If paying by P.O., please complete the REGISTRATION FORM ONLINE, and mail your P.O. to the address above or email the P.O. number to berni@berni-k.com. Please make purchase orders payable to Berni Kozlowski. If a school is paying for more than 1 person, please contact Berni at 828-702-2824 to register. You’ll get a confirmation email with more details about the retreat, including directions, packing suggestions, & the menu for the weekend. If you listed any roommate requests or dietary needs, we’ll contact you to confirm those details. What’s the Deadline to Register? If the retreat is cancelled for any reason, you will receive a full refund. 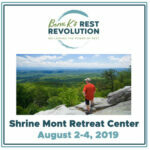 0 Comments on "Modern Meditation for Teachers Retreat August – Shrine Mont Retreat Center"